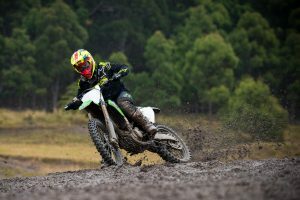 MotoOnline.com.au tests the 2019 Kawasaki KX450. 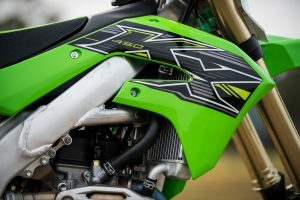 The 2019 Kawasaki KX450 is all-new and improved from the ground up for 2019, a premier class contender that has been two years in the making with a lot of excitement following the brand’s success with Monster Energy Kawasaki rider Eli Tomac in the US. Among a host of changes include a selection of firsts for Kawasaki’s motocross range, such as the hydraulic clutch system and a electric starter. 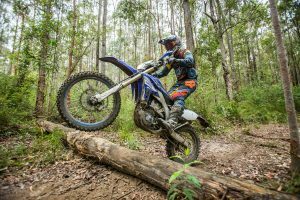 Located approximately an hour north of Newcastle, New South Wales, lies The Island Action Sports Complex – a family-owned facility that has been a work in progress for many years. The track is yet to be open to the public, although Kawasaki Motors Australia organised full access, allowing us to test the all-new 2019 KX450 on the completely-prepared circuit. 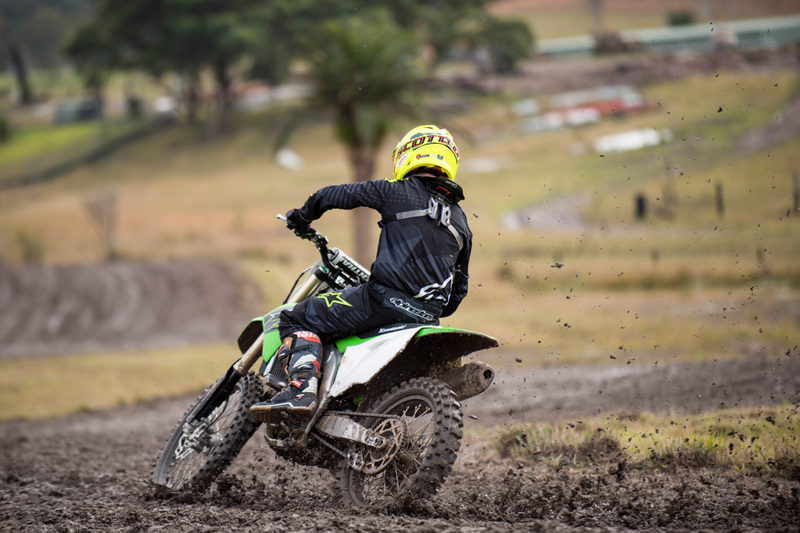 It was overcast and raining, making the track conditions more challenging, yet at the same time, it gave great feedback on the bike’s characteristics. 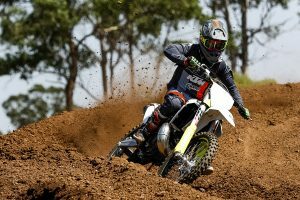 Kawasaki has added many new features to its KX450 to make it a championship-winning bike, while still catering for all riding levels. 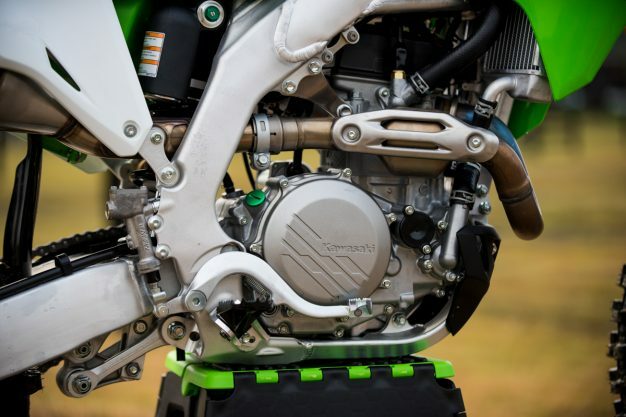 The Japanese manufacturer has added an electric starter to the 450 for this year, which makes restarting the engine as easy as pushing a button without any major effort – the more you use it, the more you’ll appreciate not having too kick-start it, especially mid-moto. Kawasaki has added a Nissan hydraulic clutch to the KX450 for the first time, making it one of only a limited amount of manufacturers to do so and the first of the Japanese brands. 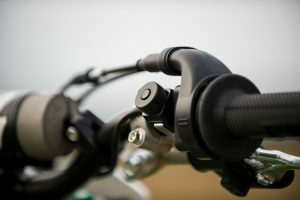 The hydraulic clutch offers a more direct feel and lighter lever action, plus there’s also less play in the clutch as it starts to heat up during heavy use, resulting in a more consistent feeling. The motor has over three extra horsepower year on year, albeit with a flatter torque curve that makes the power as usable as possible. 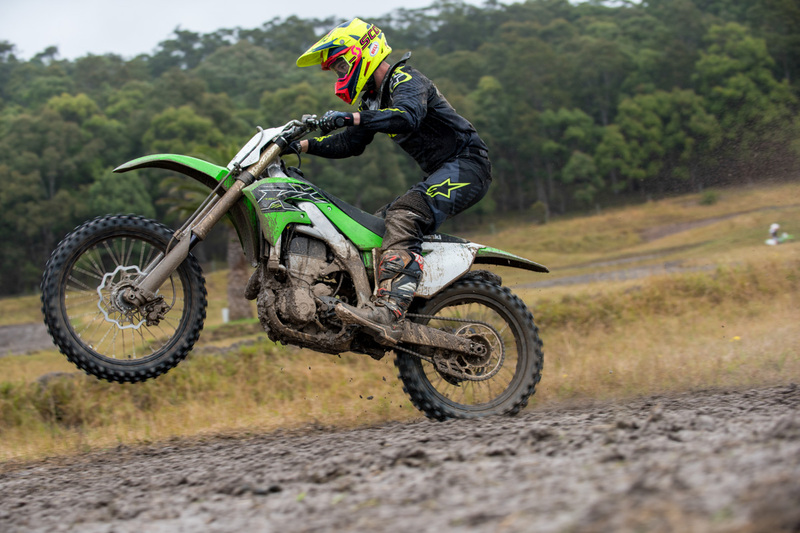 One of the things I love about the KX450 is the smooth power delivery – the bike is easy to control out of the corners and has great top-end power when clicking through the gears. This is all because of the new finger-follower valve set-up compared to a tappet-style valve actuation, while a DLC (Diamond-Like Carbon) coating on the finger followers helps protect against wear. 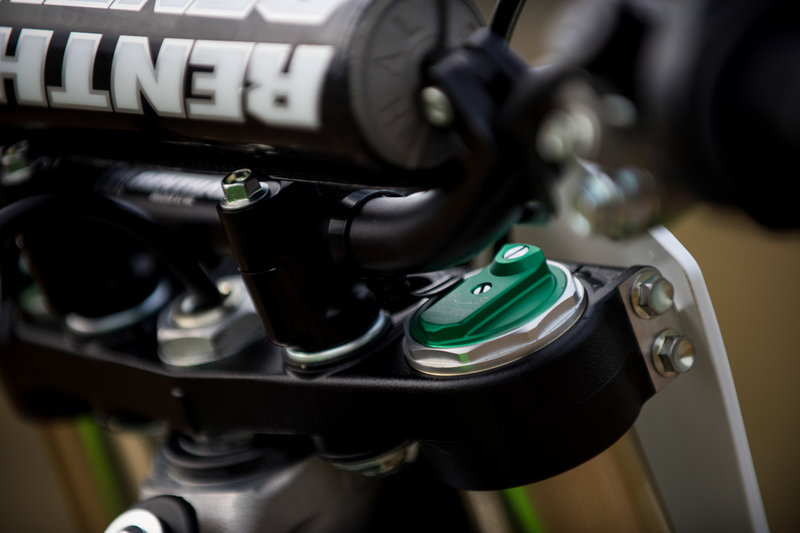 Complementing it are more aggressive cams, a larger-diameter intake and exhaust valves with increased lift flow for more air, contributing to increased power. The camshafts benefit from a thin and highly-durable gas-nitriding treatment for long wear, while the valves are formed from lightweight titanium, reducing reciprocating weight, adding to the unit’s high-rpm reliability. 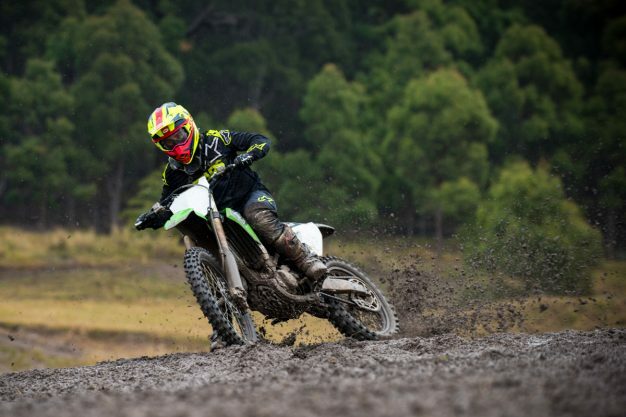 When it comes to ease of use, you’ll appreciate what the 2019 Kawasaki KX450 offers, but it’s still ultra-powerful when and where you are looking for the punch. 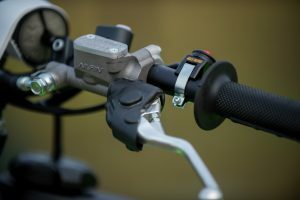 Provided DFI couplers enable riders to easily access their choice of three maps (standard, hard, soft) provided in the ECU, which really do provide different feelings across the board. The 2019 KX450 frame is lighter and slimmer than its predecessor, providing an enhanced feel of the bike underneath you. 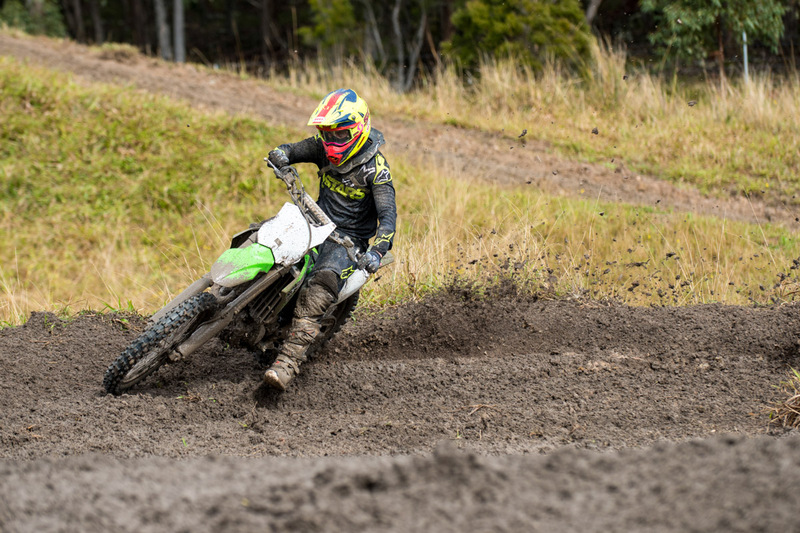 It features revised rigidity and includes the engine as a stressed member, all adding to the on-track feel. The slimmer design also gives more control and movement around the corners, making the bike turn better. The new swingarm also contributes to the revised rigidity and balance under load coming out of corners. 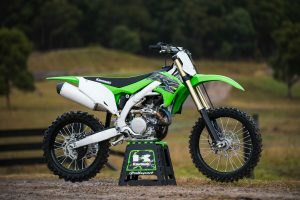 For 2019, the KX450 is equipped with new high-performance Showa 49mm coil spring front forks with ‘A Kit’ technology, featuring a large diameter inner tubes that are the same size as those found on Kawasaki’s factory racing machines – it enables the use of large damping pistons for smooth action and firm damping. A hard titanium coating on the outer surface of the fork inner tubes helps prevent wear abrasion, which is accompanied by the increased surface hardness of the dark navy blue coating that also helps to prevent scratches and damage to the tubes and gives your bike the factory look. While the muddy conditions made it difficult to truly get a feel for the new KX’s performance, you can identify that it has a lot of potential. In short, there’s nothing out of the ordinary that made the ride more challenging despite the weather. A larger-diameter 250mm rear disc complements the oversized 270mm front disc, delivering stronger stopping power, while a new front brake master-cylinder offers better initial control while contributing to overall braking performance. 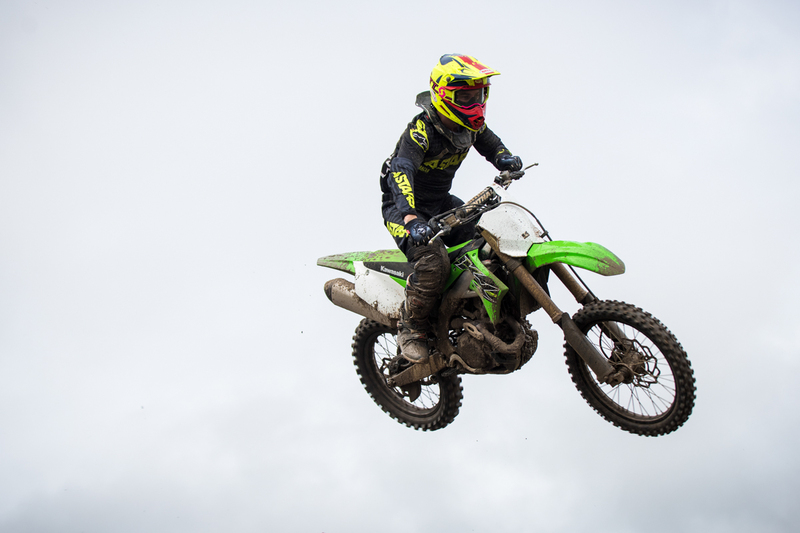 The wait is finally over and, after all the hype surrounding the 2019 Kawasaki KX450, the bike has met all expectations. 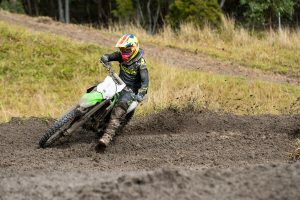 From the first moment I threw my leg over the bike I felt comfortable – the new slim design and powerful motor make riding the 450 lots of fun in all conditions and Kawasaki has catered for all riders with this bike by allowing the rider to adjust the foot-pegs by two ways and handlebar positions by four, allowing each and every rider to tailor the bike to their needs. 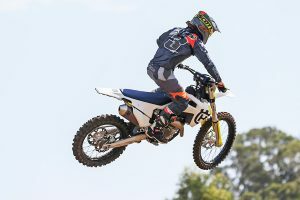 My only concern with the bike is the overall weight, being 110kg, is a little heavier compared to some of its opposition. It’s actually 1.3kg heavier than the previous model, partly because of the spring fork and electric starter. 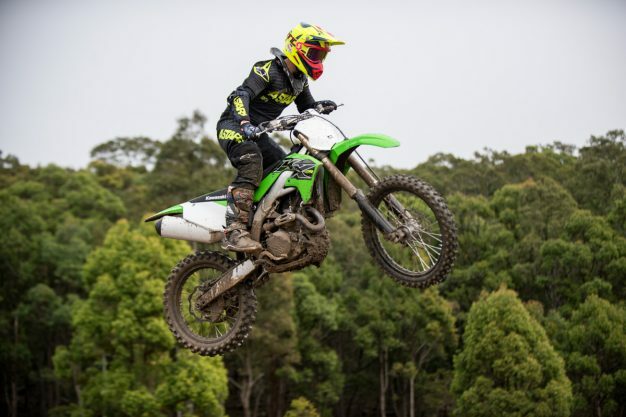 My overall thoughts are that this bike is a great package for any skill level rider looking for a powerful yet accomodating 450 that boasts some incredibly neat features. It’s due to be available from July 2018 and will retail for $11,899.